All of us can alter our paths in life. More than a resolution, real transformation requires an internal shift. And to drive real change, your goals and expectations must be realistic. Once again, the New Year is upon us. 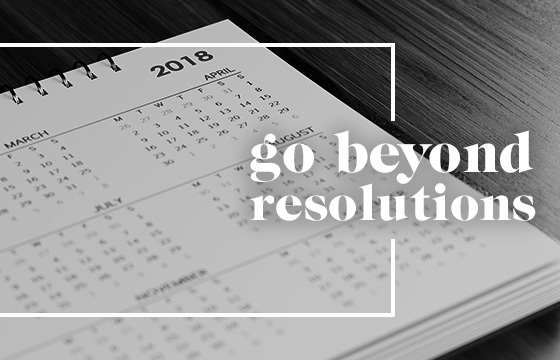 Rather than trot out the same old, tired resolutions, we thought we’d ask you to take a moment to think about why resolutions stink, how you can make real change happen in your life and what role Oprah plays in all of this. According to a University of Scranton, Journal of Clinical Psychology study, only 8 percent of us who make New Year’s resolutions actually see those resolutions through and achieve the goals we dreamed of. Why? First of all, resolutions are all too often done for public consumption when they should be treated more like a birthday wish (in our humble opinions). Remember how you wouldn’t dream of breathing what your wish was when you blew out the candles on your cake, because then your wish wouldn’t come true? Well, when it comes to resolutions, too many of us seem to pick things to “change” about ourselves based on what society thinks or tells us we should be. From exercise or meditation, to eating clean or showing gratitude, so many of our New Year’s resolutions are geared toward making us more acceptable to the masses and have nothing to do with actually making us our better selves—whatever that means for you. Maybe instead of sharing our resolutions, we should play them a little closer to the vest. Not only would this make us feel less ashamed if things don’t work out, but also, possibly, we might be more honest (and realistic!) in our actual quest for change. We told you that Oprah would play a part here. Since her self-named talk show catapulted her into media stardom in 1986, Oprah has been a force to be reckoned with in many influential circles. From films to television, philanthropy to politics, she has been called the “Queen of All Media” and ranked by many as the most influential woman in the world. If that weren’t enough, she is North America’s first African-American multi-billionaire and the greatest African-American philanthropist in American history. And no one in recent memory (or ever) has sought to break people out of their ruts and push them into bettering themselves and their lives than Oprah Winfrey. With her recent acceptance speech upon receiving the Cecil B. DeMille Award at the Golden Globes on January 7, she has once again turned the spotlight not only on her considerable own influence, but also the many societal shifts she has seen and embodied. 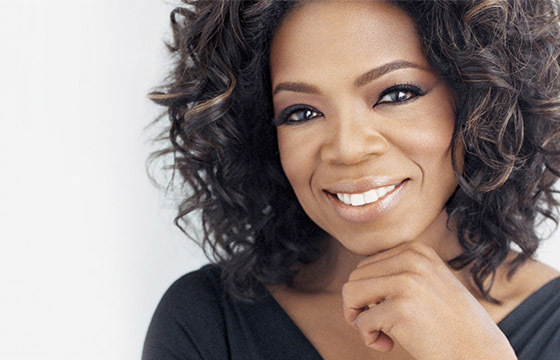 In her Golden Globes speech, Oprah said, “I've interviewed and portrayed people who've withstood some of the ugliest things life can throw at you, but the one quality all of them seem to share is an ability to maintain hope for a brighter morning, even during our darkest nights.” Oprah herself has done so many things to shine that hope for others through her work and philanthropy through the years. If Oprah has taught us anything in her quest to be her best self, it is that you may stumble along the way, but that doesn’t mean you are defeated. She has also stressed that each of us is responsible for our own lives and sitting around waiting for someone to help you or fix you is a waste of time. How can we reconcile our fear of failure with our quest for empowerment and change? How can we take responsibility and forge ahead when we do fail? Start by thinking about what you really need. Then ask yourself why you need that thing. Defend it, as if some stranger were questioning you and your right to have it. And, if you can’t justify it, then maybe it really isn’t a need for you currently. Finally, keep a record of your journey. Be honest about your failures and your successes. Along the way, you may start to see patterns that will help you make changes, so that you are charting more positive moments than disappointments. Resolutions too often end up being short-term fixes to long-term problems. A band-aid isn’t going to fix a wound that requires stitches. Think about the changes you need to make in your life as an ongoing process, where you regularly check-in with yourself and evaluate your progress, your setbacks and how you want to move forward in the future. As Oprah said in her acceptance speech, “What I know for sure is that speaking your truth is the most powerful tool we all have.” So resolve in 2018 not to search for quick fixes, but to speak your truths, face your fears and effect real change with the power you already possess.